After a slew of new features in recent times, another major update is almost certainly headed to your Instagram - multi-image posts. As of now, only advertisers can create posts with multiple photos which users can then scroll through horizontally. This feature, available to advertisers since 2015, has been spotted by Droidlife and a few others - which indicates it might be a limited test. Currently, if you want to share multiple images around a single event or vacation you end up populating your friends’ timeline with tons of not-necessarily-chronological images, inviting their ire. 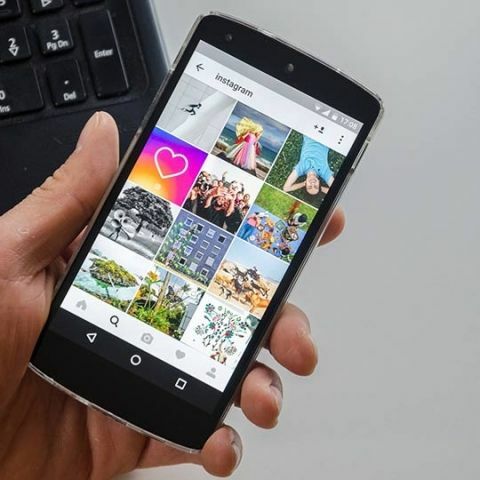 If and when this feature arrives, instead of tapping a single photo from your camera roll to bring it into instagram, a long press will bring up a prompt that will let you select upto 10 images or videos. According to sources, you can apply individual filters or the same one to all of them, and your followers will be able to like them individually as well. Also, if this feature does arrive, this will be one of the features that has been exclusive to advertisers (hence, something like a paid feature) which will now be available for free. Until now, the only Instagram-endorsed way to share multiple images in a single post has been by using their Layout app to create collages. But this often relegates important images to smaller boxes on an already small smartphone screen. Needless to say, this feature will be a welcome addition. Especially since all we’ve been getting recently from Instagram have been (well-performing) Snapchat-like features. The use cases are quite a few - from sharing the best photos from your vacation, to showcasing different angles of your latest designer dress, to bringing a story like experience into your timeline in a form that lasts more than 24 hours. Multiple sources have confirmed that Instagram has not commented on this when they were contacted. A few more features that people have been waiting for are native regram functionality and scheduled posts might be on the cards too, but it’s all speculative at the moment.